We’re redefining the future of science by inspiring a new generation of scientists — and finding new ways to solve society’s biggest problems. The College of Sciences makes NC State the university of choice for high-performing students and faculty in the biological, mathematical and physical sciences. We inspire those creative minds to think and do the extraordinary to solve society’s biggest problems. Here, graduate and undergraduate students learn through experience, whether it’s studying heart defects with world-renowned professors, interning with industry leaders such as SAS and BASF, taking an immersive study-abroad trip to Peru or running a summer program that introduces high schoolers to science careers. These unique experiences complement the unparalleled classroom instruction students receive from our award-winning faculty. We’re providing a creative, diverse and intellectually vibrant environment that prepares graduates to lead the way to a brighter future in research, industry, academia or any other field they choose. Your support helps us do that. Get the latest updates about science at NC State. You'll be the first to know when we have something extraordinary to share. 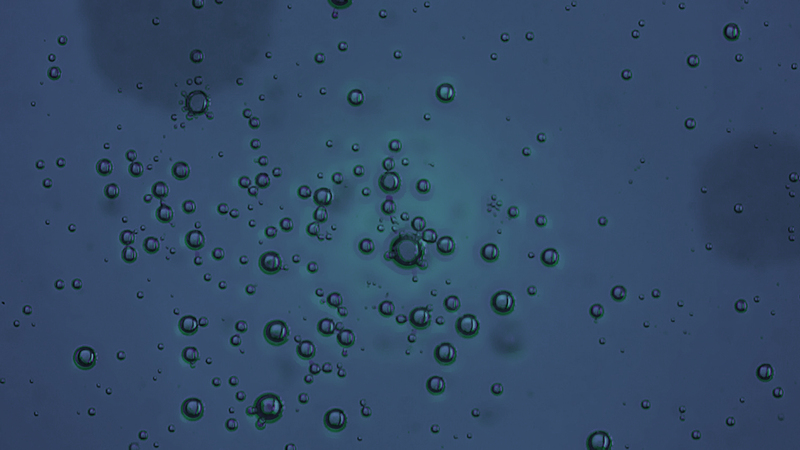 Geneticist Trudy Mackay is internationally known for her work with one of the tiniest species on earth — the fruit fly. Why study the fruit fly? To learn more about humans. 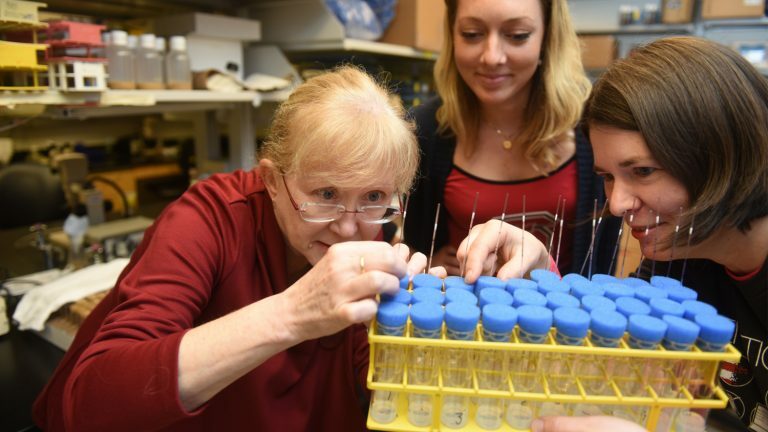 Mackay’s reference panel of more than 200 fruit fly lines inbred for 20 generations is essential to the work of hundreds of researchers around the world. By studying the genetic makeup of these tiny flies, Mackay and other scientists learn about traits related to deadly diseases such as cancer and alcoholism. In 2016, Mackay won the prestigious Wolf Prize, one of the world’s highest honors recognizing academic achievement, for her groundbreaking work. Mackay is just one of the many top-notch science faculty and students at NC State whose research leads to significant discoveries that benefit us all. Any gift to the College of Sciences, big or small, helps us create an extraordinary future. Degrees in the sciences are among the top five areas of study with the best starting salaries after school, according to CNBC. Science affects all of us, so it needs to engage all of us. To accomplish that, we’re bringing science out of walled labs and into the public. The College of Sciences occupies some of the most desirable real estate on NC State’s historic North Campus, near many campus activities and community thoroughfare Hillsborough Street. The demolition of Harrelson Hall in 2016 created space for an iconic, engaging structure — the Crossroads building — to anchor a new Imagination Corridor. The half-mile corridor will engage the campus and community in our work by putting the creativity of NC State science on display. The Crossroads building will be its heart, attracting visitors and leading them out to other areas along the corridor. 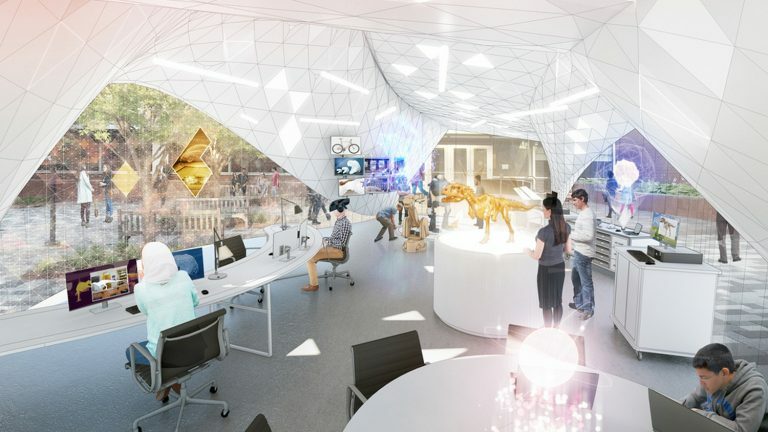 Along the way will be movable, pop-up Imagination Labs; dynamic displays of collaborative technology; and a curiosity bar where students will help their peers find answers to questions in areas ranging from research topics to career paths. It’s a bold and exciting vision, and we’re ready to make it a reality. Learn more about this bold new vision for NC State’s historic heart, and find out how you can help make it happen. Stay connected with what’s happening in the College of Sciences. Get the latest news, events and other updates from the college. Join our international network of alumni, faculty and students. 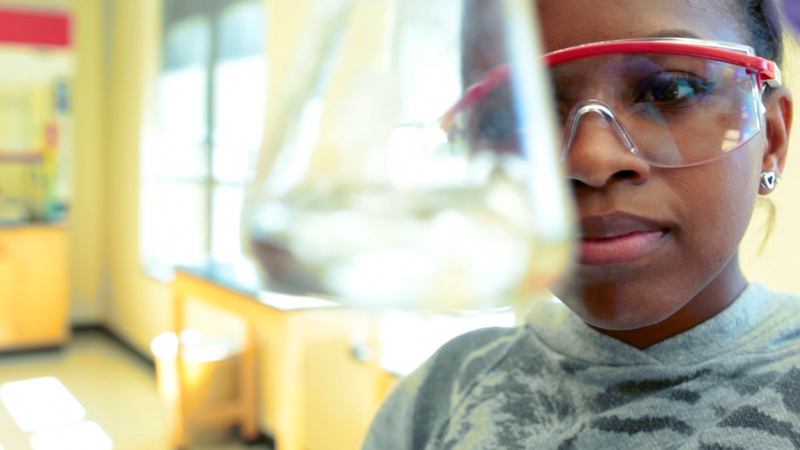 See what science looks like on NC State’s campus.